The University of Texas Rio Grande Valley has named Yash P. Gupta as the new dean of the Robert C. Vackar College of Business and Entrepreneurship. Gupta, who will take the helm Aug. 1, will replace Mark Kroll, who served as dean of the college for seven years and will return to faculty to focus on teaching and research. Gupta comes to the Valley from Louisville, Kentucky, where he was president and CEO of Yash Gupta Consulting Inc., which provided consulting services for academic institutions and industries based on strategic planning and new market development. 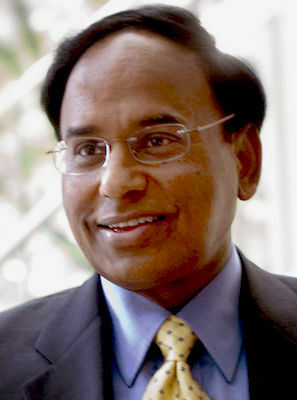 Gupta has years of experience in academia, having worked at prestigious universities, such as the John Hopkins University Carey Business School, as dean and professor; the University of Southern California Marshall School of Business, as dean and professor of Operations Management; and the University of Washington Business School, as dean and professor of Operations Management. Gupta holds a Ph.D. in Management Sciences from the University of Bradford in England, and a Master of Technology in Production Management from Brunel University of West London, England. He earned a Bachelor of Science in Engineering in Production Engineering from Panjab University in India with first-class honors, and holds a Professional Engineering license (P.Eng.) with the Association of Professional Engineers in Manitoba, Canada. Gupta envisions many opportunities for students and the community as a whole as the Valley continues to grow. Focusing on service learning, experience in the field opportunities and mentorships will drive students into the best possible careers, he said.